Marilyn Cornwell Blog: Is Christmas Uncommon? By day, Boston-based designer Brian Johnson creates high-performance composite products for the medical and military industries. By night, his passion for creating modern, functional home goods takes over. He enjoys working with simple, sustainable materials in striking ways and applying novel approaches to everyday objects. With eco-friendly manufacturing in mind, he selects recyclable and repurposed materials whenever possible and makes every effort to source materials and services locally through other small businesses in the United States. Michelle Ivankovic and Adrienne McNicholas first met 15 years ago working together on fun and fashionable products for the home. Michelle's talents as an industrial designer and Adrienne's marketing and strategy skills were a great mix. Each project polished their teamwork and built their friendship. "Our mission is to design and create tools that make it easy to get the most enjoyment and nutrition possible from the groceries our customers buy and reduce the amount of food that gets wasted in the home," they say. Check out these pillows personalized with your family's details in a playful homage to a classic library card. With your family name as title and parents' names as authors, children become the borrowers with their birthdays as check-out dates. Fun home decor accents for librarians, teachers, and book lovers, they'll quietly add color to any couch or bed. Rebecca Rodriguez's background reflects her love of both academics and artistry. She has a B.A. from Yale University in American Art & Material Culture, and a Master’s Degree in American Material Culture (think Antiques Roadshow). She started a small business creating mindful and playful homewares infused with school-days nostalgia. She firmly believes that everyday life can be made better by creating playful and beautiful spaces in which to live and work. 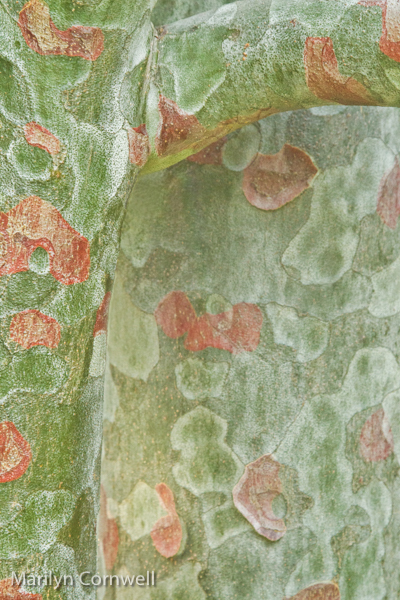 We're looking at the amazing bark of a pine tree at the Denver Botanical Garden.